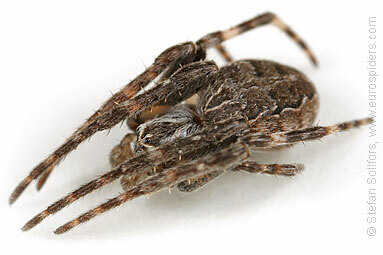 Female Larinioides sclopetarius spider in its resting position. 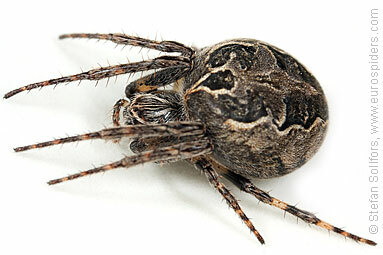 Young male Larinioides sclopetarius spider, side view. 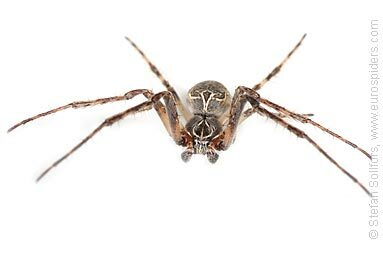 Head-on view of a male Larinioides sclopetarius spider. 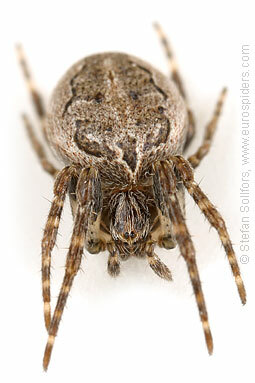 Head-on view of a female Larinioides sclopetarius spider. 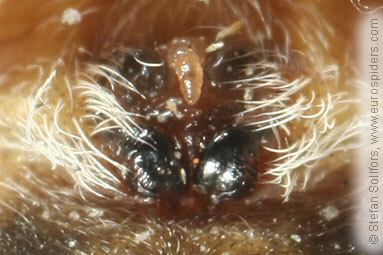 Close-up of the eyes and pediplaps of a young Larinioides sclopetarius spider. 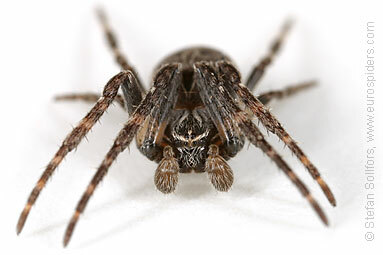 Larinioides sclopetarius spider in its hiding position. 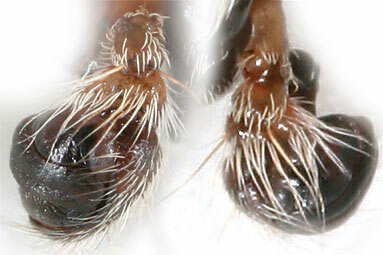 Male palps of a Larinioides sclopetarius spider. 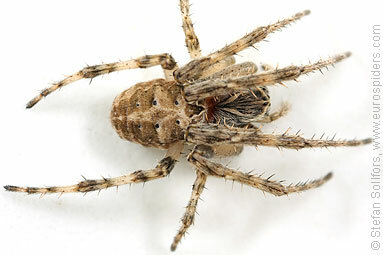 To the left - front view. 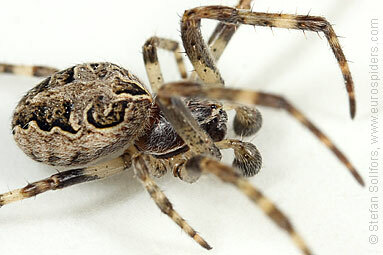 To the right, view from above. 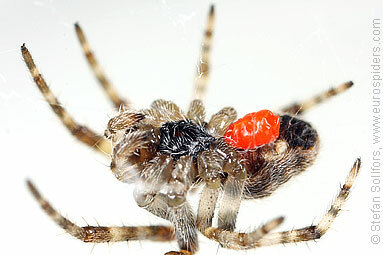 Larinioides sclopetarius spiderling with a parasite larva. 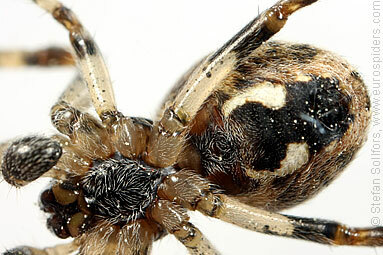 Male larinioides sclopetarius from below. 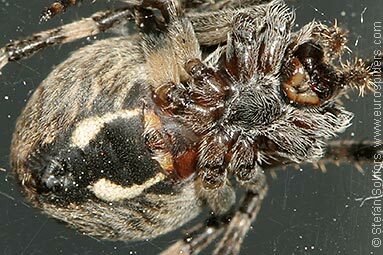 Female larinioides sclopetarius from below. 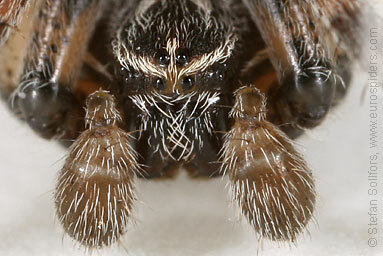 Female larinioides sclopetarius, close-up from below. 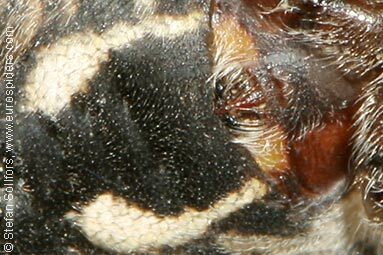 Female larinioides sclopetarius, close-up of epigyne. 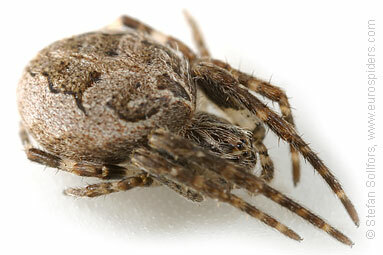 Female larinioides sclopetarius, about 11,5 mm. 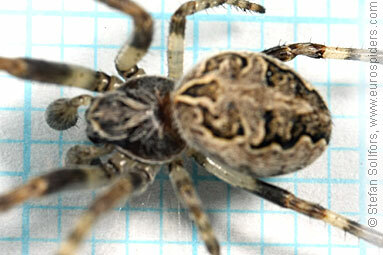 Young male larinioides sclopetarius, just over 7 mm. 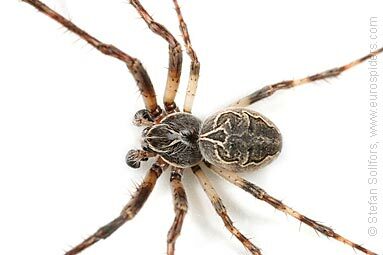 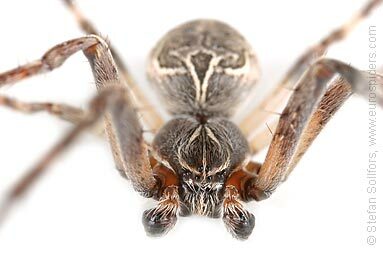 The Larinioides sclopetarius is sometimes called the Bridge spider. 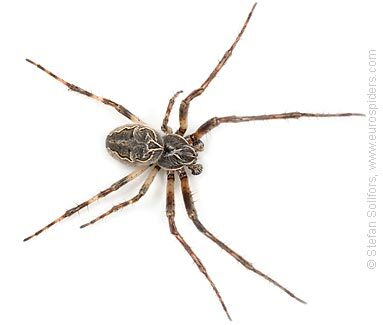 It is usually found on man-made objects near water, like bridges. 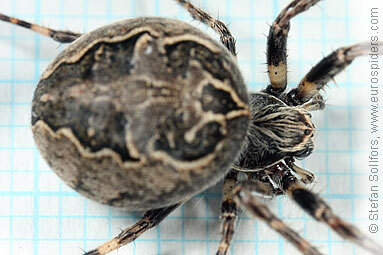 This spider was captured on a bridge over a small river.